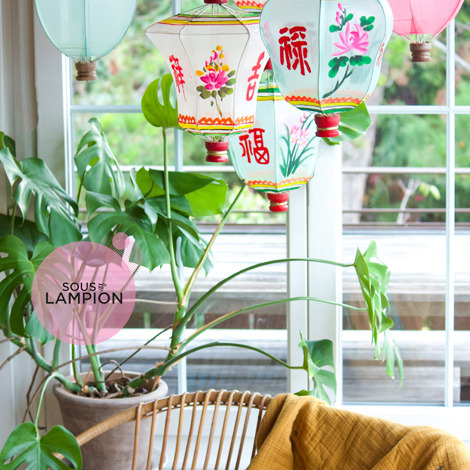 3 traditional fabric lanterns, hand-painted with colorful designs. 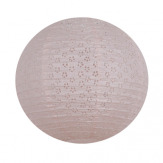 The perfect decoration piece for an hip interior. 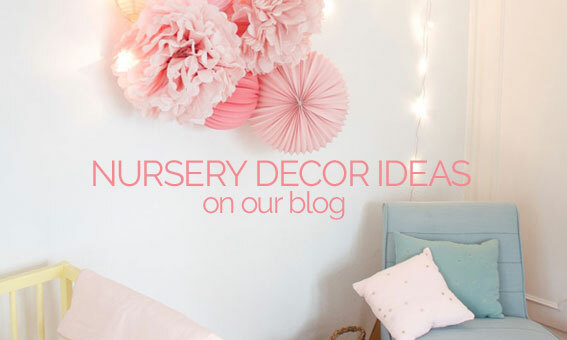 Feel free to cut off the little tassel for a more contemporary look! 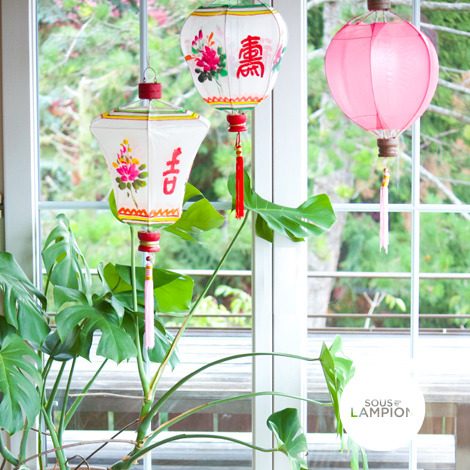 Decoration object: do not use with bulb or candle. 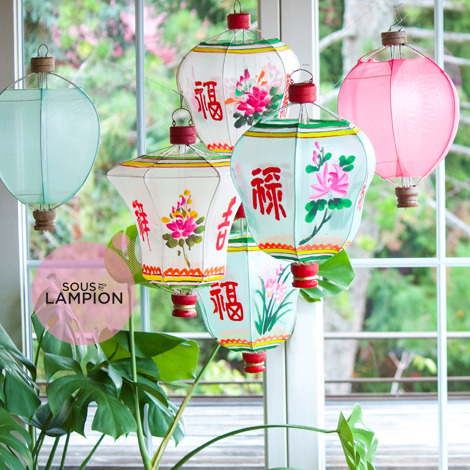 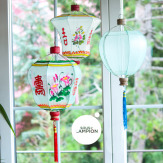 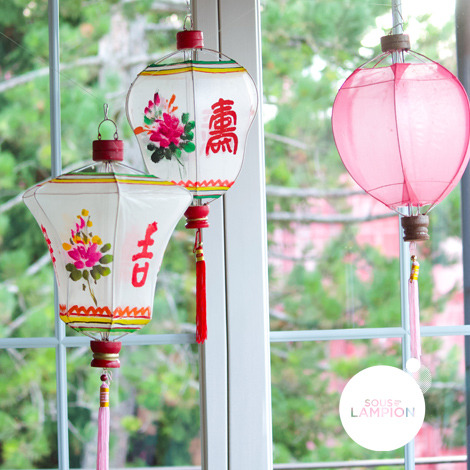 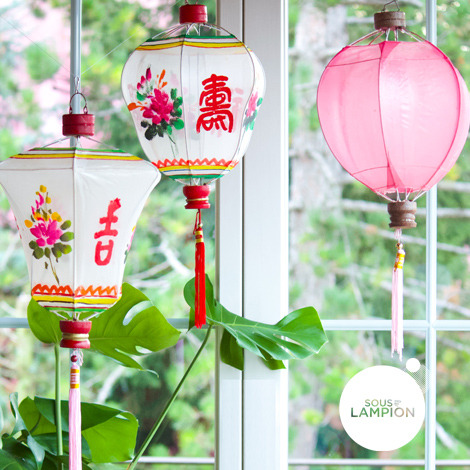 These lanterns being entirely handmade, small defects in paints, fabrics or frames may appear, but do not affect the beauty of the product in anyway.